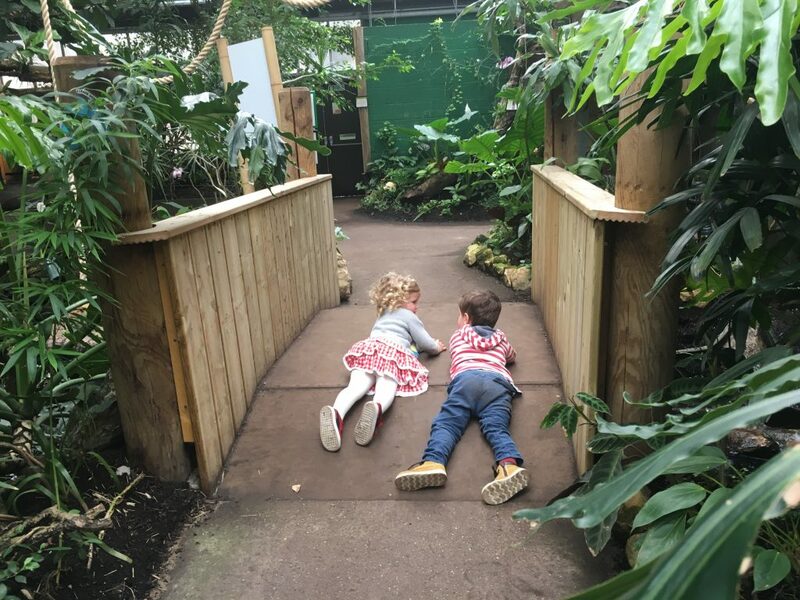 We went along to Amazonia with the little lady’s little friend a while ago. I’d never been before but had heard differing reviews of it from other parent friends, so we thought we’d check it our for ourselves on a rainy day a while back. 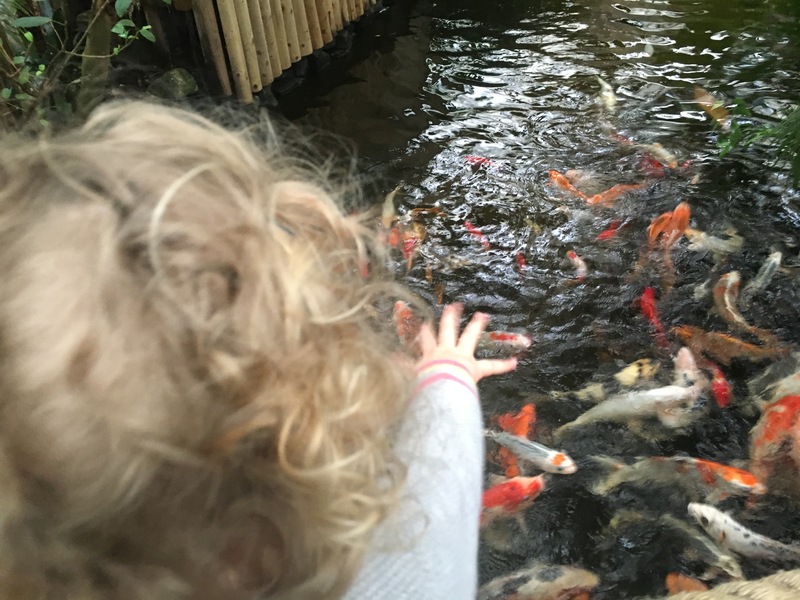 The little lady and her little friend seemed to really enjoy seeing the different animals, and especially loved feeding the fish. Their favourite things of the entire trip though were playing on bridges, and playing with the plastic slats on the doorway of the nocturnal area. I have no idea why they were so delighted with those, but they were. 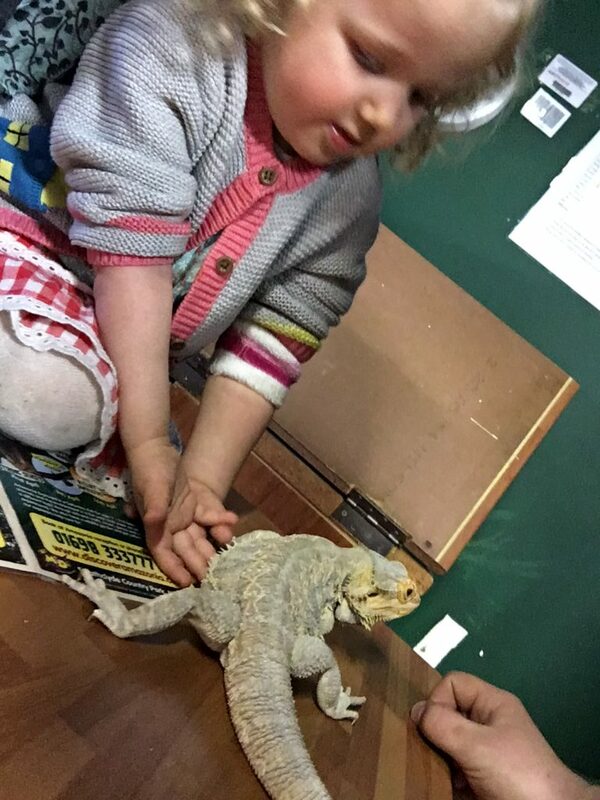 The little lady did comment on the smell when we arrived; her nose gets very offended at the slightest scent, event if it’s something lovely like freshly cut grass, nice perfume or something delicious that I’ve cooked… But Amazonia just smells like a reptile house; like any reptile house you’ll ever go to. You get used to it in about 30 seconds. These animal handing sessions are on a couple of times throughout the day & cost an extra £1 on top of entry. 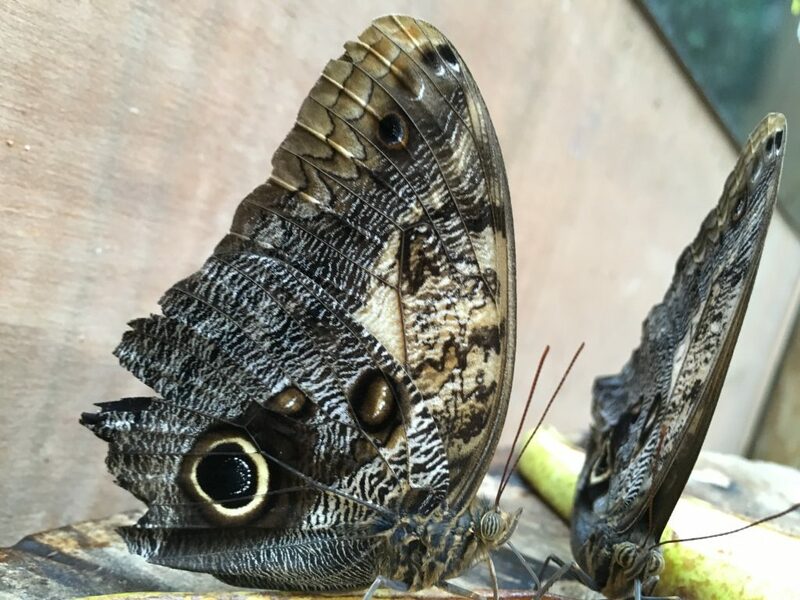 They are a chance for the public to meet a couple of Amazonia’s animals. We met a snake & a bearded dragon. And the little lady also got to hold some shaded snake skin which she was quite intrigued by. The little lady really likes getting up close and personal with any animal; she will pat anything (something I need to be really careful of). The handling session was busy and the room was really hot and quite packed. So it took a bit of time for the animals to be brought around the room. This was fine until the little lady got bored and started to strip off ALL of her clothes in the middle of the room (I have no idea why) at which point I decided it was probably time to go back out to the animal exhibits. It’s £6.20 for adults and £4.75 for kids. Children under 3 go free. You can purchase tickets online in advance and save a few pounds. The animal handling sessions are £1 on top of your ticket price. Having worked in zoos in the past I am usually annoyingly critical of places with captive animals. The enclosures can always be bigger, the enclosures can always be better and there can always be more enrichment for the animals. This is the case almost everywhere, and Amazonia was no different. The only real problem I had was with the animal handling session. They packed a whole horde of people into that room making it quite uncomfortable for us, and most likely for the animals they brought out. It only cost £1 so increasing the price slightly and limiting numbers might be a better way to go. If we visit Amazonia again I’d probably avoid these sessions unless the numbers were more limited. Amazonia is small, but with its animal meet sessions it does take a little while to get around. We were probably there for about 4 hours in the end but that included lunch, a stint in the arcade next door and a turn on the the carousel plus quite a few cuddles of the M&D’s mascot bear whose name has escaped me. The little lady and her friend had a great time, and once they were done with the animals, the bridges entertained them for ages. I’d say on a rainy day it’s a good place to spend a few hours. 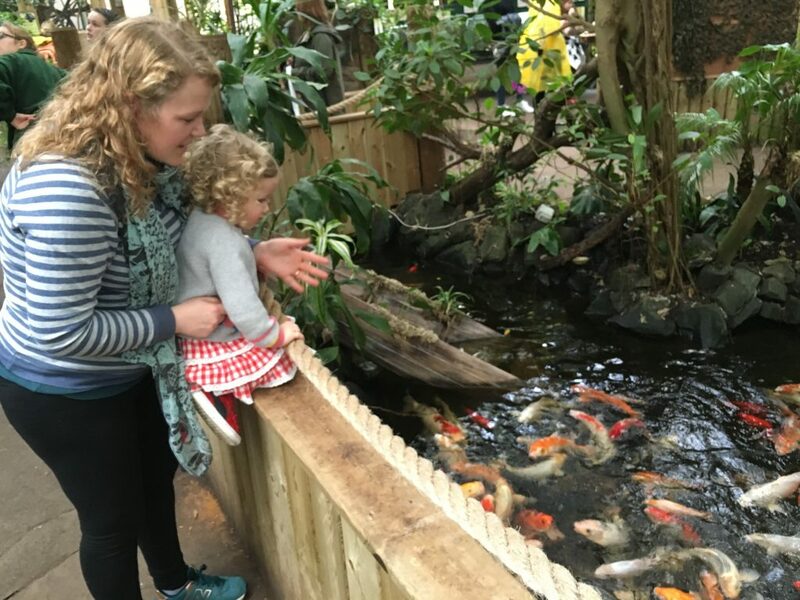 It might get a bit expensive if you have a couple of kids over 3 with you; if you don’t choose to do the animal handling session you could whiz round it. 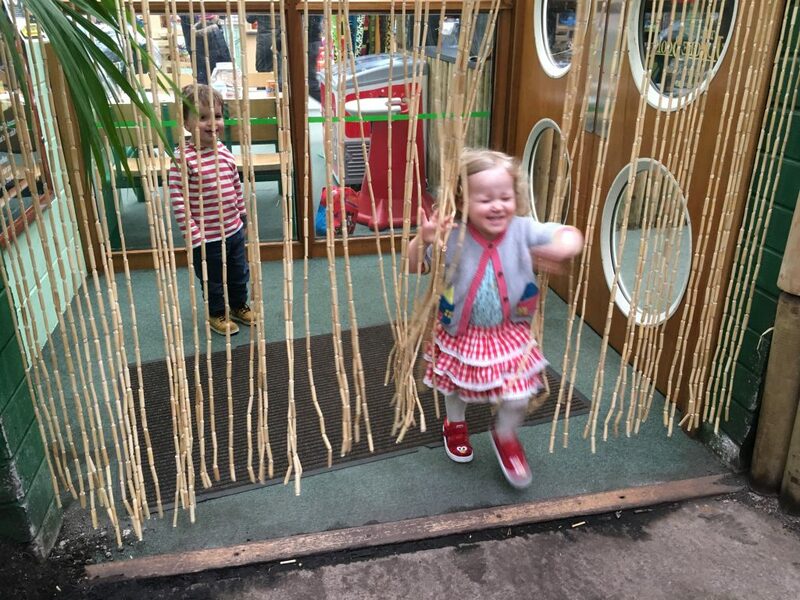 Amazonia is situated inside M&D’s at Strathclyde Country Park in Hamilton.